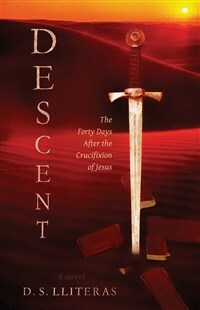 Descent is about Jesus' resurrection and ascension that preceded the descent of the spirit—an event that purportedly made saints of ordinary men and women. This is the historical setting and the spiritual landscape upon which two outsiders intruded: Flaccus, a Roman Legionnaire and deserter, and Jeshua, a Judean healer and rogue. Both men are wanted by the Roman Empire and both men manage to hide within a community of disciples. While they evade Rome's authority, each man responds to this evolving faith in a dramatically different way. D. S. Lliteras is the author of fourteen books that have received national and international acclaim. His short stories and poetry have appeared in numerous national and international magazines, journals, and anthologies. He lives in Montgomery, Alabama with his wife and author, Kathleen Touchstone.